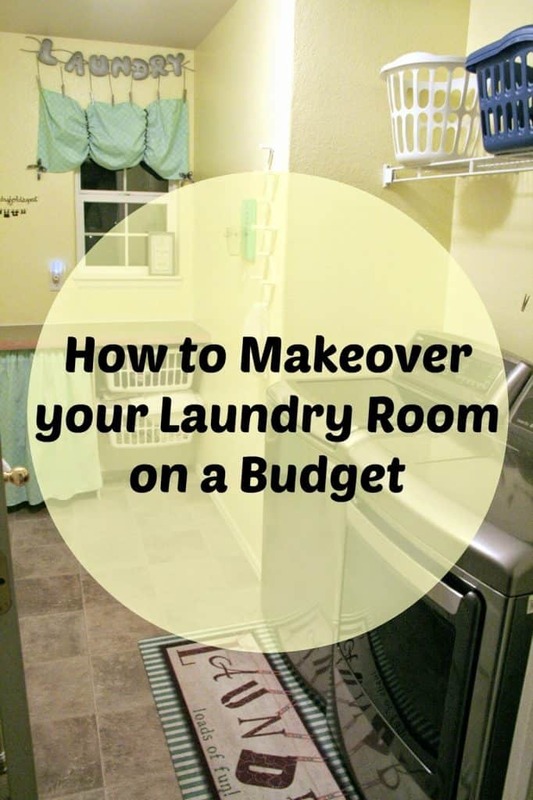 How to Makeover your laundry room on a budget! I have been eluding this for a couple weeks now and was just waiting for my amazing washer and dryer finally made their arrival. 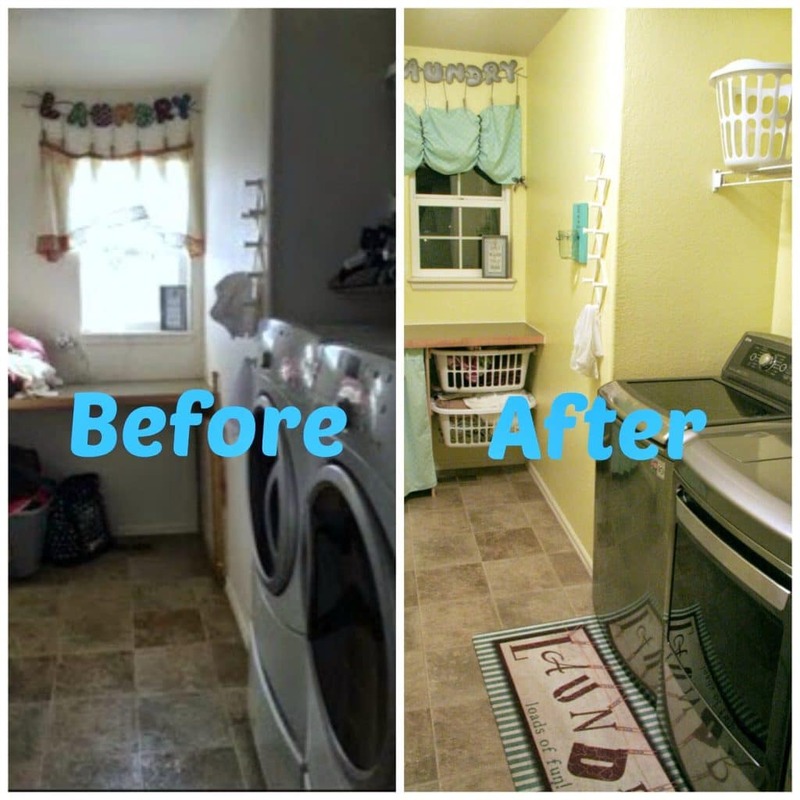 So alas, it is time to debut my weekend project of my dream laundry room that I redecorated on a budget! First of all, I need to preface this with a disclaimer that while I did almost everything on a budget of under $100.00, the washer and dryer were NOT included in this. I wish, but they cost a pretty penny and so far are well worth it! 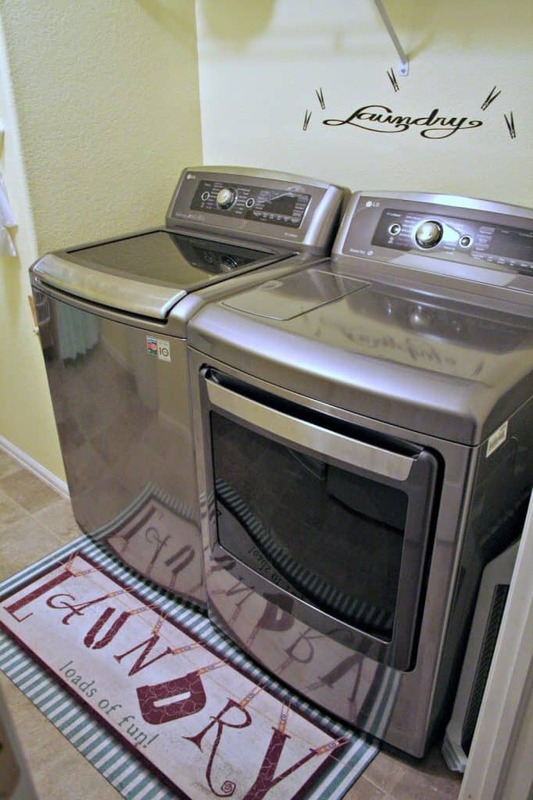 The “Laundry” rug I snagged at Hobby Lobby for 30% off for a grand total of $19.00! I re-purposed my original window curtain that I lovingly referred to as “country bumpkin” and bought some glitter spray paint for $8.00 and went to town. I also snagged some adorable fabric for the curtains for $2.90 a yard and I had a spool of grey ribbon from Emberlynn’s birthday party last year. 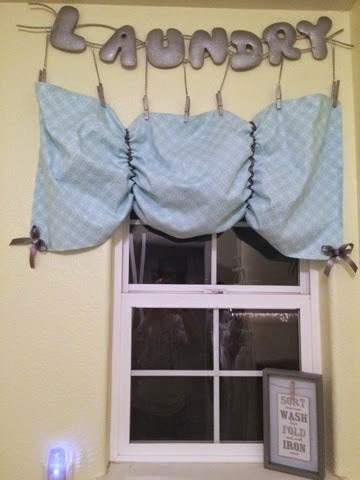 The curtains were easy to make. Basic simple stitches to finish the edges and then I ran a loose stitch down the centers where I then pulled the bobbin thread gently to bunch up the curtain. 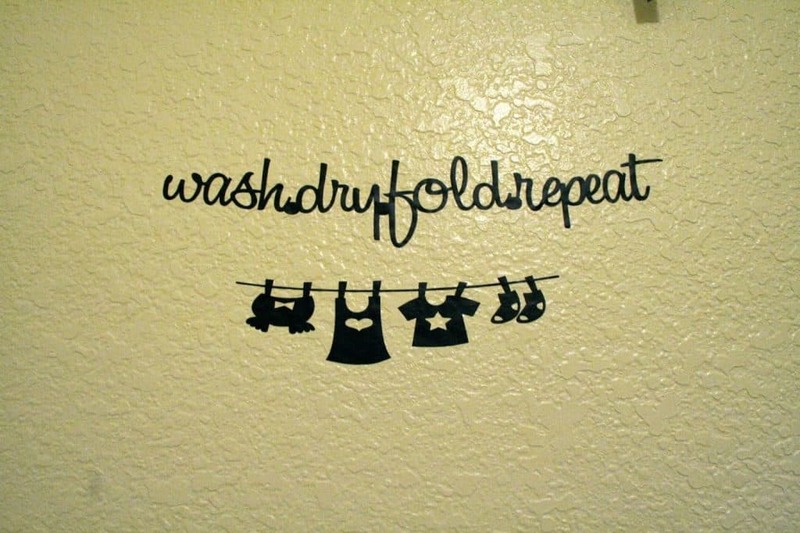 Of course, my new Silhouette machine came in handy when it was time to really add some flair to the walls! I found all these designs in the Silhouette Design Studio and cut them out of vinyl. 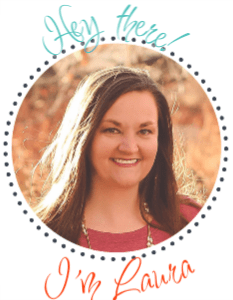 I cannot brag enough about how much I love my Silhouette Machine! This cost me nothing out of pocket as I had all materials on hand. 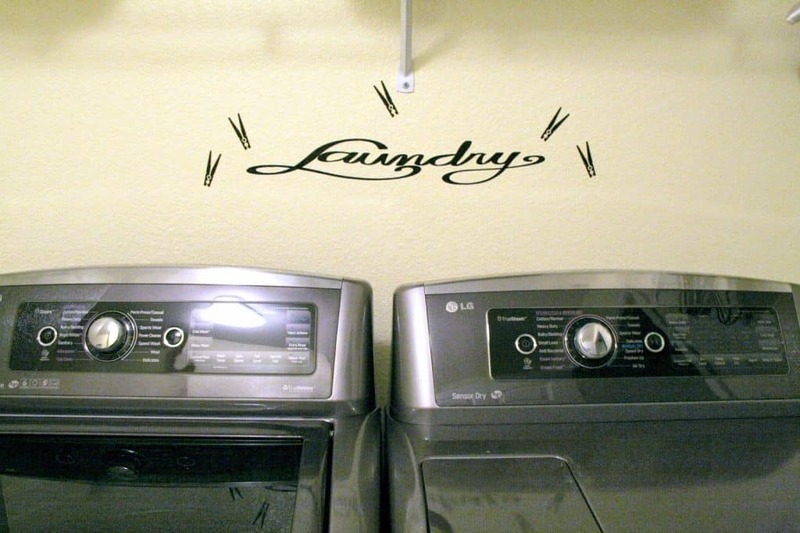 One of my favorite decorative features is also very functional! 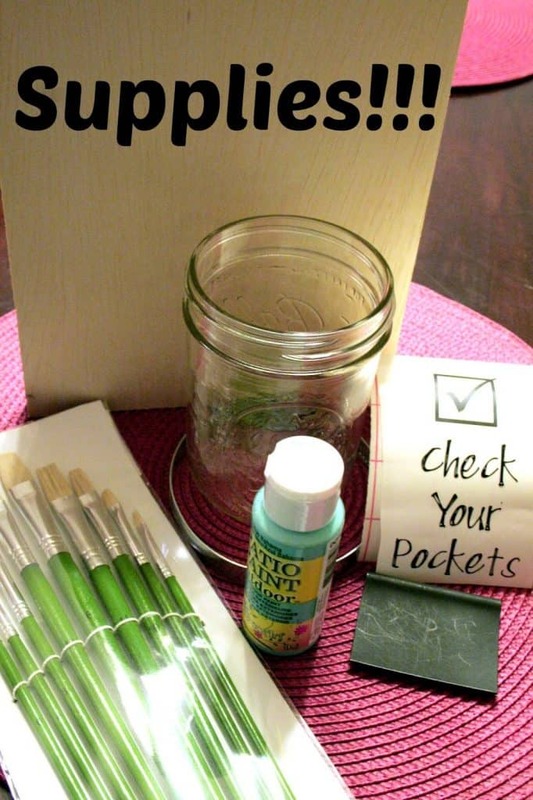 This adorable pocket station reminder and holder stole my heart on Pinterest so I decided to replicate it and give you a quick DIY on how to do this yourself. It took less than 30 minutes from start to finish and surprisingly that included allowing the paint to dry! 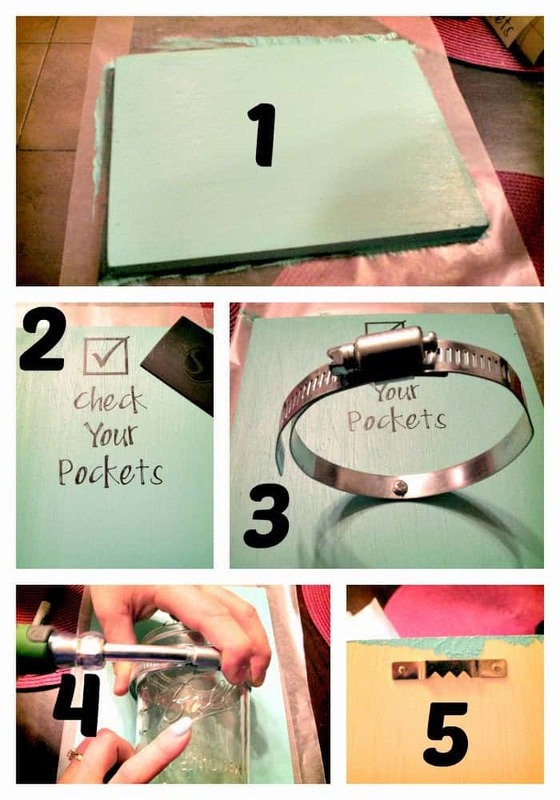 Paint the wood in the color of your choice and allow to dry. The paint I used dried really fast which totally stunned me. Apply your vinyl decal to the top of the wood. Attach the metal clamp to the board with a screw. 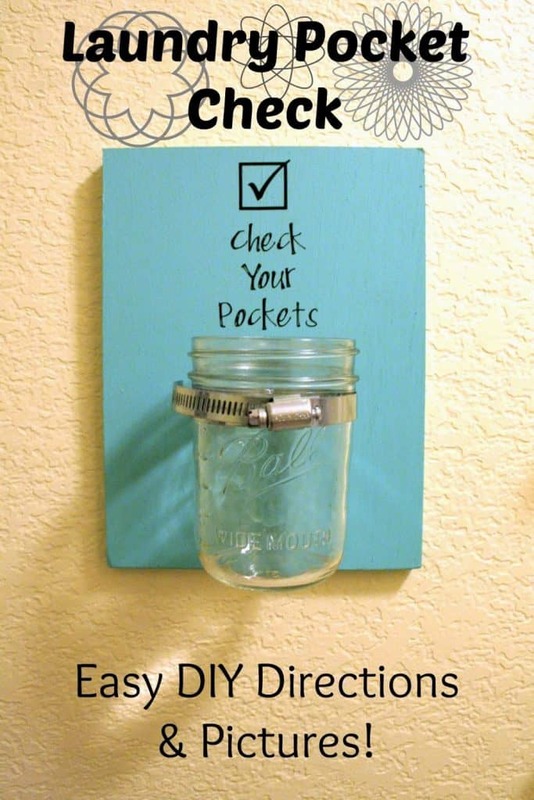 If you would like, add some picture hanging hardware. So here it is! All done. I just love it. 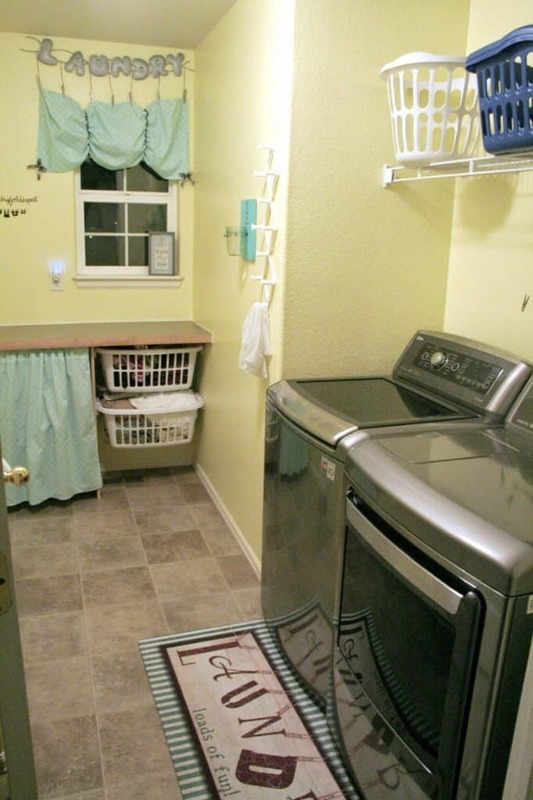 It is bright and cheery and beautiful and actually makes doing laundry a bit more relaxing and refreshing. After this makeover, Jason has actually agreed to let me do a few different big makeovers to the house! 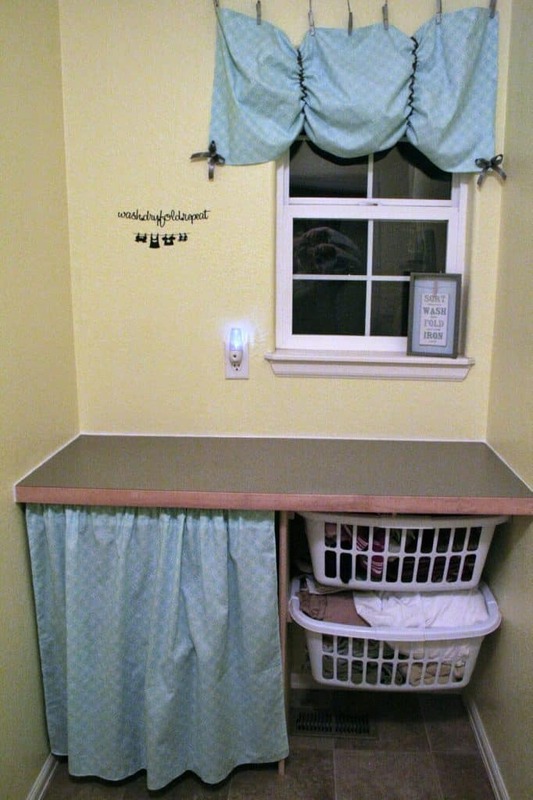 I cannot wait to attack the bathrooms and create a mudroom soon. For comparison you can see how far I really came. I went from straight “country bumpkin” to a bit more relaxing and clean.